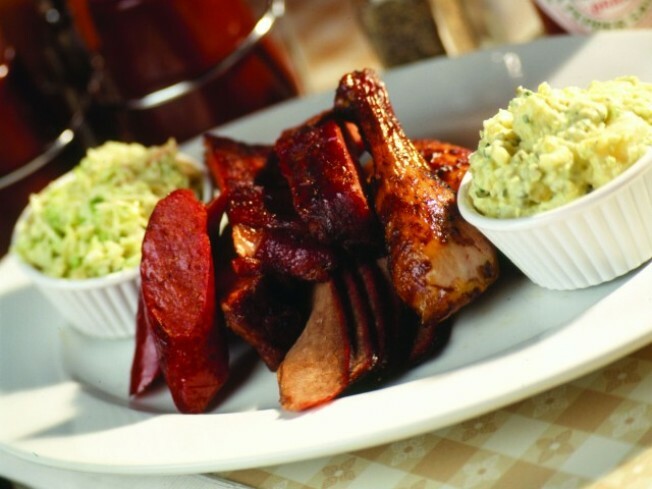 The Build Your Own BBQ Special:Zeke's Smokehouse is the savory spot. Which Zeke's? Both Zeke's. The barbecue joint has smokin'-meat spots in both West Hollywood and Montrose. What makes this special special: Well, delicious barbecue is a start. But the "Build Your Own" is a major clue. You get to choose from two sides and two mains and mix and match. If you're not a creamy coleslaw fan, you can go with the All-American Potato Salad. Or, vice versa. Meats include yummies like smoked chicken and hot links. If you're not a creamy coleslaw fan... You should take pause and reconsider that choice. Coleslaw is one of the world's 27 most perfect dishes. Time will show. Price:$9.95 for the whole sauce-laden, baked-bean-y shebang. Dates: Weekends, 11AM-4PM. The special is also available Monday through Thursday from 3-10PM. You have to eat at the restaurant for this one, but that's no big rib. Just make room in your schedule. Tell the boss you need the 'q. The boss knows the power. Carolina Mustard Sauce: Our favorite Zeke's staple. Please look away while proceed to drink this mustard elixir straight from a cup.